The Northern Flying Squirrel, once found all across the Northern U.S. and Canada, is disappearing, particularly in Pennsylvania. Yesterday, the Pennsylvania Game Commission announced they were adding the flying furball to their endangered species list. The reasons for their decline? 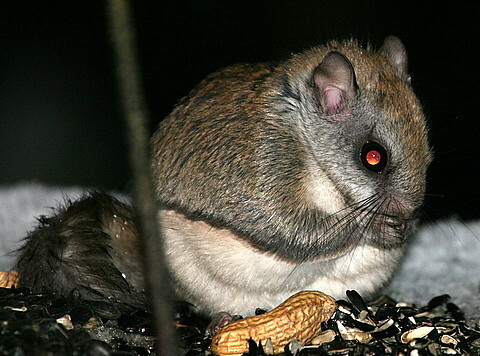 A loss of forest, especially hemlock trees, and a parasite found by southern flying squirrels that, for some reason, hits the northern species harder. I’ve never seen a flying squirrel — I didn’t even realize we had them in the U.S.! They sound really cool. Click here to see what these guys look like as they fly from tree to tree.